The Champions League will have a new feel to it this season with the traditional 7.45pm kick-off time a thing of the past. Instead, UEFA will this week begin a three-season trial of having two separate kick-off times for each matchday, as in the Europa League. Two games will kick-off at the new, earlier time of 4.55pm, while the other six matches will kick-off at the slightly later time of 7pm. Tottenham fans will be the first to experience this as they make a mad dash to the pub for Tuesday’s early kick-off against Inter Milan. And if that irks Spurs fans, then they won’t be happy to hear that they are the only English club to have two early kick-offs in the group stage. Their trip to PSV Eindhoven next month is another to have been allocated the new 4.55pm slot. Manchester United fans who would struggle to get away from work early will be pleased to know that all six of their group-stage matches kick off at 8pm, while Liverpool and Manchester City have just one early kick-off each. City’s trip to Hoffenheim on October 2 will be shown at 4.55pm, as will Liverpool’s away fixture at Red Star Belgrade on November 6. Officially the reason given for the change in kick-off times is to allow fans to ‘watch more games than ever before’, though this of course will increase revenue streams. 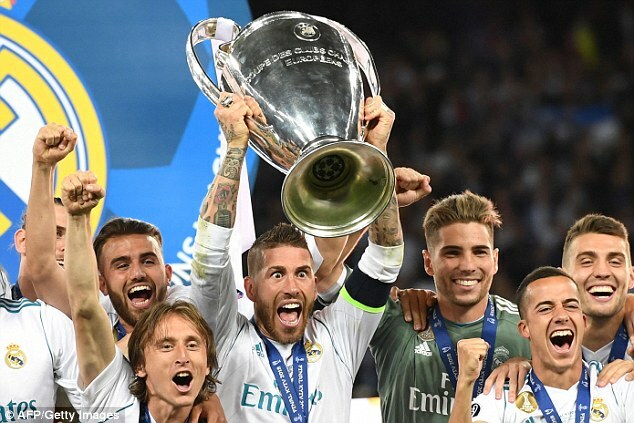 The early kick-off time also makes it easier for fans in Asia and Australia to watch the Champions League, with staying up until 2am slightly more appealing than 4am. Whether that will soften the blow for fans in Europe who could potentially miss the early game remains to be seen. On the final matchdays on December 11 and 12, matches in the same group will kick off simultaneously, with Group D and Group G assigned the 5.55pm slots. Neither group contains a Premier League team. The games in the knockout stages will all kick off at 7pm.